Spring is around the corner and that means family gatherings, BBQ’s and celebrations. These gatherings can sometimes take place on your deck. Is your wood deck deteriorating? How old is it and is it time to give it new life or resurrect a new deck? Let’s begin by discussing your current deck. Most decks have a life expectancy of 10 – 15 years, occasionally with proper maintenance 20 years. The location of your deck is a determining factor as well, sun and trees can cause damage to the deck. Deck boards are exposed to weather elements and usually show the wear first. By replacing those weather beaten boards, you can extend the life of your deck. The most important part of the deck to inspect is the joists and posts. 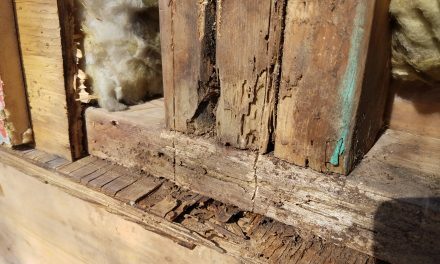 Wood rot and pest damage can cause them to weaken and eventually fail. Also, the quality of lumber originally used on the deck can determine the lifespan of your deck. If you choose to replace your deck, the first thing you will want to consider is decking material. If you want a complete wood deck, cedar is popular because it retains less moisture than other woods. Although, you will need to clean and seal this type of wood annually in order to maintain the color. A properly maintained cedar deck can have a lifespan of 25 – 40 years. Another natural wood is mahogany. This hard wood has rich color and is perfect for high traffic, children or pets. Like cedar, mahogany will need to be maintained annually for a longer lifespan up to 40 years. Pressure treated wood has chemicals forced into the grain to help prevent wood rot and pest resistance. Made from a variety of woods, choosing a better quality of pressure treated wood means a better life span. These woods often come with a warranty, but you will still need to annually maintain the deck material. Often times, lesser quality pressure treated wood will shrink or warp after installation, leaving a less than desirable appearance. The life span of this wood can be 20 – 50 years. Composite decking material can alleviate the annual maintenance. 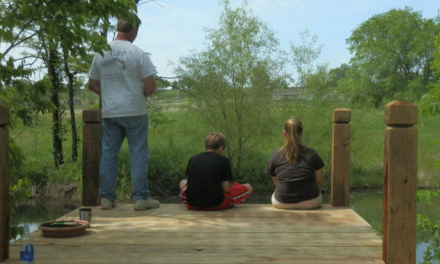 With minimal to no maintenance required, a composite deck can last much longer. Many deck installation professionals believe that composite deck can last much longer. Composite material is made from a combination of wood and plastic or vinyl. Some modern composites are completely plastic or vinyl and from recycled material. With moisture protection of composite, you are at a lower risk for wood rot or pest damage. The consistency of the material eliminates warping and splintering as well. A bonus, composite materials can be heated and shaped to give a unique curve to deck designs. Some composite brands offer both decking material and rails. Most brands offer a 25 year warranty. The downfall of composite decks is that once you have determined the color of the material, you cannot stain or change it for 25 years. 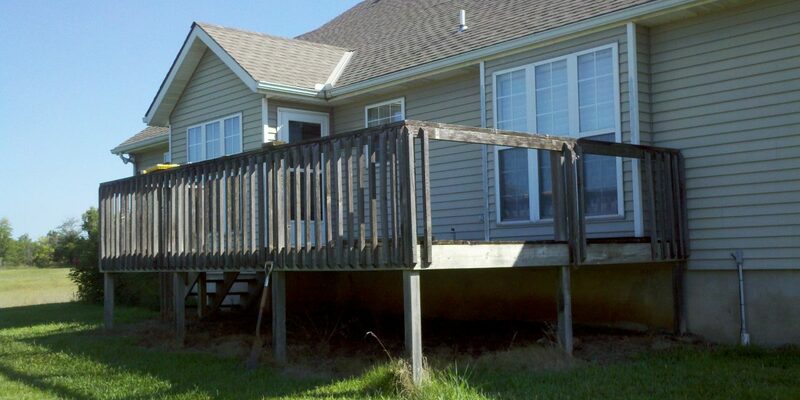 There are various reasons your deck may be deteriorating. If your deck was built with untreated wood, moisture from the weather leaves the wood susceptible to wood rot. Consequently, over time the elements pay a toll on the wood and the deterioration appears. Another factor in deterioration is leaves and other debris becoming trapped between the boards. This is a breeding ground for fungus and bacteria to grow and eat away at the wood. Carpenter ants and termites can wreak havoc on wood decks. Even treated wood for termites is not 100% full proof. Bi annual inspections of your deck can help eliminate the chances of pest damage. Store your firewood away from the deck to also eliminate the chances of damage. As the old saying goes, “You get what you pay for”, applies for the quality of decking material. Weather is hard on an exposed deck, to insure your deck has a long life span. Choose materials that will last for the environment your deck will be in. A licensed and insured contractor can help you make choices to give your home the perfect outdoor living space that can withstand the elements. Inquire what the professional will be using for fasteners. Galvanized and stainless steel fasteners are the standard in the industry. Ordinary nails and screws can corrode quickly. If you find deterioration in your bi annual inspection, treat the area as soon as possible. You could save yourself thousands of dollars. 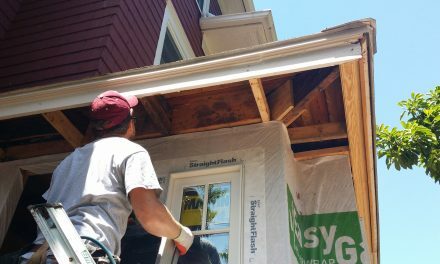 Replacing a few boards is more practical and economical than replacing an entire deck. If you have found damage to your deck and are in need of repair. Now might be the time to consider a deck remodel. With the likelihood that you can increase the value of your home, you may consider a 3 or 4 season room addition. If that is more than you are interested in investing at this time, consider your family’s needs for entertaining and relaxation. This will help you determine what type of deck you would like built. Adding a covered deck, pergola or a multi leveled deck might be just what you need. Lastly, you might consider having new decking material installed to lower your maintenance level. 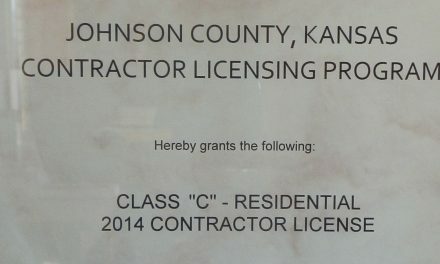 CH Construction can assist you with inspections or remodeling your existing decks. Give Brandt a call for a consultation.